I am a secretary of Prague club CBCFN - SCHK - FIFE in the Czech Republic. On the club website you can find reference to other catteries, kittens for sale and breeding males. 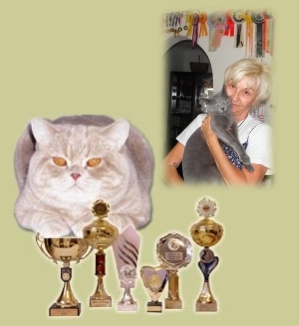 Central evidence od animals and objects ČR offer on-line find information about microchip mark animals and object and their owner from whole ČR. Mark by chip is only start - registration is point in indentification which can enable return animal or object to their original owner.